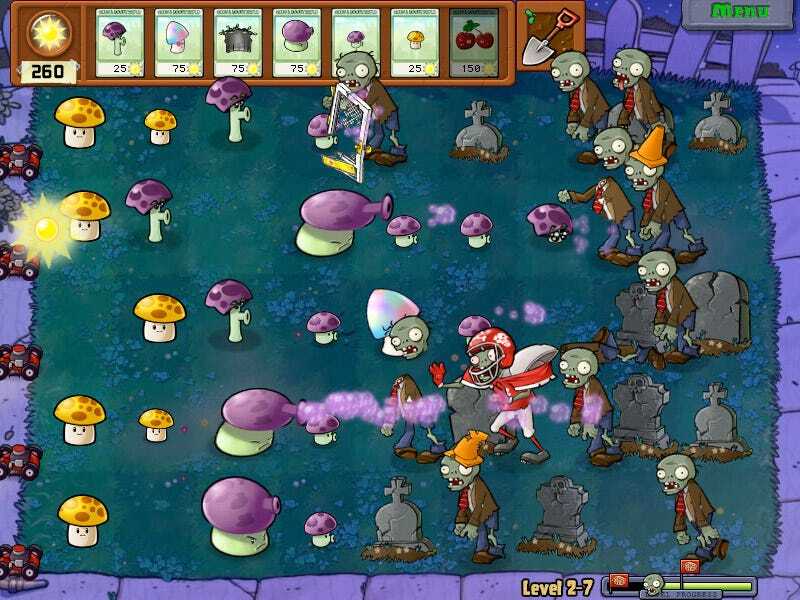 PopCap Games' garden of the living dead strategy game, Plants vs. Zombies, gets an upgrade today, touting its "Game of the Year" status with a handful of upgrades (and one downgrade). Valve is now hosting the newer, less Michael Jackson estate-infringing version of Plants vs. Zombies, adding Steam Achievements and Steamcloud support for the casual hit. The latter feature lets you play anywhere while saving your progress on "the cloud" for added portability. PvZ GotY also adds the Zombatar tool, which lets you design your own zombie type, "enabling players to incorporate their own custom zombie creations directly into the game." It looks a lot like the Flash-based online version of the Zombatar tool at PopCap's official site. This version features the updated Disco Zombie—the one that doesn't look like a Thriller-era Michael Jackson—and is available for Mac users via Steam.